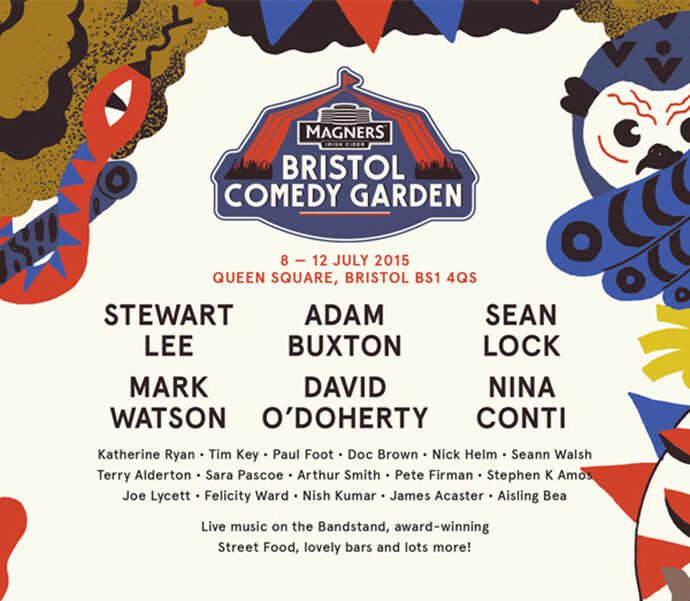 Returning for the fourth time since 2011, Bristol Comedy Garden once again is transforming Queen Square’s into a tented comedy utopia for five unforgettable nights, with a host of the biggest and best names in the industry performing. 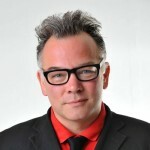 Starting off the hilarity on the Big Top Stage is the living legend Stewart Lee, Aisling Bea & Paul Sinha with Nish Kumar as our equally talented host. 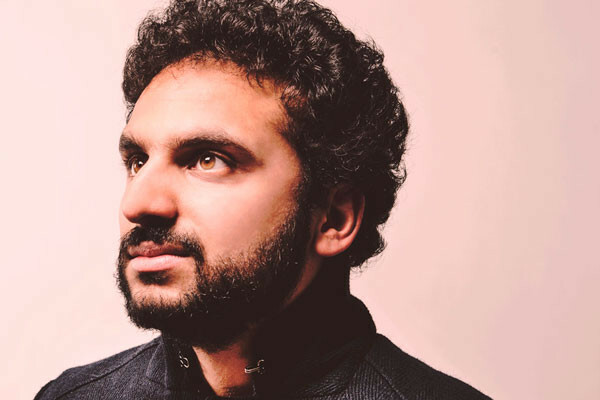 Following a successful showing at the Wardrobe Theatre back in April, Nish Kumar returns to Bristol to delight us with more witticisms and dryly delivered observations. Tonight as our comedic steward he runs the always tricky gauntlet of fluffing for others (especially to a slowly warming audience) while elbowing out space for his own act too, something he achieves with expert guile and deftness. The always agitated Kumar combines rapid-fire tales that cover everything from the NHS to his meandering career path and spotty CV. Indeed it seems like the man has been told he has just seconds to live and must get everything off his frustrated chest before he croaks. It makes for a head spinning performance that each time seems to last a lot longer than the allotted 5-10mins. Despite being lumbered with the toughest task of the evening Kumar actually comes out the other end as the standout performer from the evening. His quick witted back and forth over cider rage, and hilarious attempted South West accent (“ere Thatchers is better than Magners any day”) is particularly engaging. A perfect performance from a real up-and-comer. 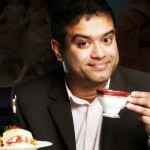 Doctor Paul Sinha shows that not all medical practitioners have had their sense of humour surgically removed, as he expounds a collection of reflections on his upbringing as a first generation British-Asian child (and all the conflicting dilemmas this can entail) before moving onto binge drinking and street justice. 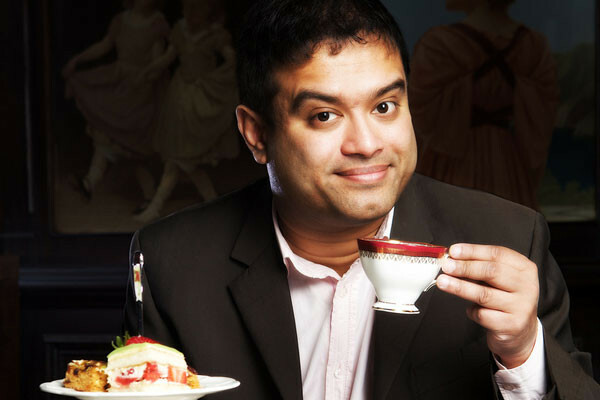 His main focus though, is the fact that he is “Britain’s only openly gay Bengali Doctor Comedian” and how constant stereotyping has not dampened his spirits, or his thirst for men from the rougher end of the spectrum. Constantly knocking taboos back, his show borrows from the best of British comedy while still adding his own fresh perspective to the mix, and while his is perhaps the most palpably scripted performance, when the jokes are this good it really doesn’t matter. 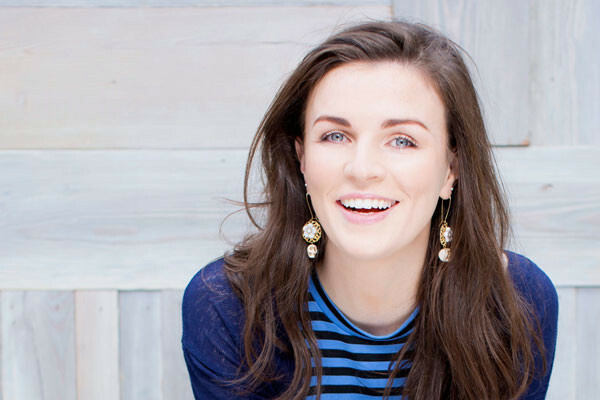 The daughter of a retired professional flat race jockey (her mother), and granddaughter to Irish language novelist and poet Mícheál Ó Súilleabháin, Aisling Bea could’ve been forgiven for buckling under the pressure of expectations given her illustrious heritage. But rather than become burdened by such demands she has instead flourished into a multi-disciplined artist, achieving great success both as an actress and a comedian. Here we see her in all her theatrical pomp with a plethora of voices (with accurate inflection and colloquialisms – a reflection of her dramatic training no doubt) and characters portrayed in short order. From her doting mother to sultry friend (“Mary”) we are given a feast of people and places to explore. By this point in the proceedings the crowd are certainly in full voice as the alcohol and laughs lubricate their vocal chords, and this makes the cajoling by Bea all the more boisterous. She engenders herself to the crowd all the more by confessing a soft spot for “Jason Donner Van” on Whiteladies Road. 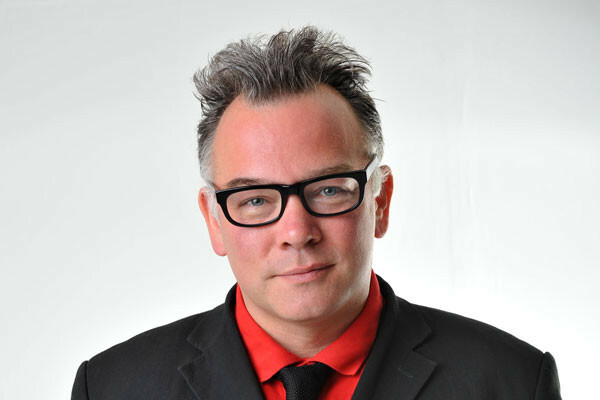 Finishing off the night in style is the always softly spoken, yet acerbic, comedic sage Stewart Lee, whose cerebral take on the world, a world he beholds with a purportedly shrugged contempt, is as ever a combination of chariness and surrealism. From the off Lee is at pains to decry the state of the crowd, with gibes thrown throughout leading to him noting that “it’s not like when I used to play at the Hen & Chicken”. Anyone who has more than a fleeting knowledge of Lee’s act won’t take these barbs to heart though, as this is in fact all part of the show. Like a spiky prize fighter he loves to jab with repetitous lines at the audience, working their weaknesses & self doubt until they are a pummelled mess from the hounding, before finally setting them up for a killer knockout punchline. Tonight’s show circles around his frustrations with being overlooked for a BAFTA, the recent election result and the political significance of the English flag. These are all themes he is by no means a stranger to, but even while dissecting such grubby subjects as what it is to be English he still manages to maintain a logical decorum, standing in his inimitable way with his head above the murky waters observing the whole dirty business from on high. If you can put up with the barracking, Lee remains one of the funniest performers in British comedy. Bristol Comedy Garden continues until Sunday. To get tickets please click here. 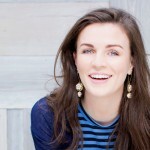 Tagged 2015, aisling bea, bristol, bristol comedy garden, comedy, Kevin Mcgough, Nish Kumar, paul sinha, queens square, review, stewart lee, the fix, the fix magazine. Bookmark the permalink.